Damage, Loss and Liability – In the event that the rented vehicle incurs any damage/loss the renter is responsible for payment of the liability amount of which is shown on the face of the rental agreement. Apart from obvious accident, this also includes but not limited to items such as missing wheel covers, vandalism, hail damage, interior damage, eg; cigarette burns. Loss/damage cover is subject to the terms and conditions on the rental agreement being met. Traffic Violations – for example, speeding and parking fines are the responsibility of the renter. Any traffic violations processed by Allcoast Car Rentals will incure a $80 SERVICE FEE. They are dated and can be traced back to your rental. Authorised area of use – Vehicles must remain within 200 kilometre radius of Surfers Paradise (or perimeters as shown on the front of the contract) otherwise all waivers will be void due to breach of contract. (south to Byron bay, north to Noosa heads is a good guide). Breakdown and Service – Allcoast Car Rentals provide a complimentary 24 hour vehicle breakdown service. Please note that a call out for human error, ie; keys locked in vehicle or out of fuel, will incur a $100 service fee. Fuel – Vehicles are supplied to you full of fuel. In the event that the vehicle is not returned full of fuel, the take will be filled at pump prices plus a $10 service fee. Street Directories – We provide with compliments a comprehensive street directory covering Gold Coast, Brisbane and Sunshine Coast. All we ask is that these be returned with the vehicle, if not, a $50 replacement fee will be charged. Please note – This web site contains general information only. 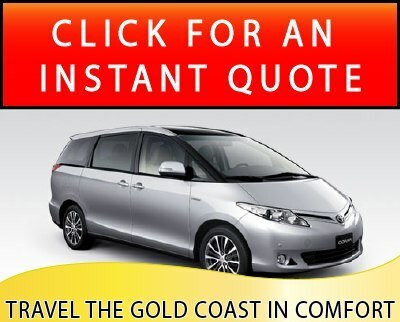 Nothing on this site should be taken as consistituting specific information or advice or any form of offer and acceptance which gives rise to any legal obligations on behalf of Allcoast Tarago Hire.